The August decline only lasted three days but in the three weeks since, market indices have moved sideways in a narrow range. That is unlikely to be the end of it. In June, I showed some long term developments for the market, including the advance decline line non confirmation. 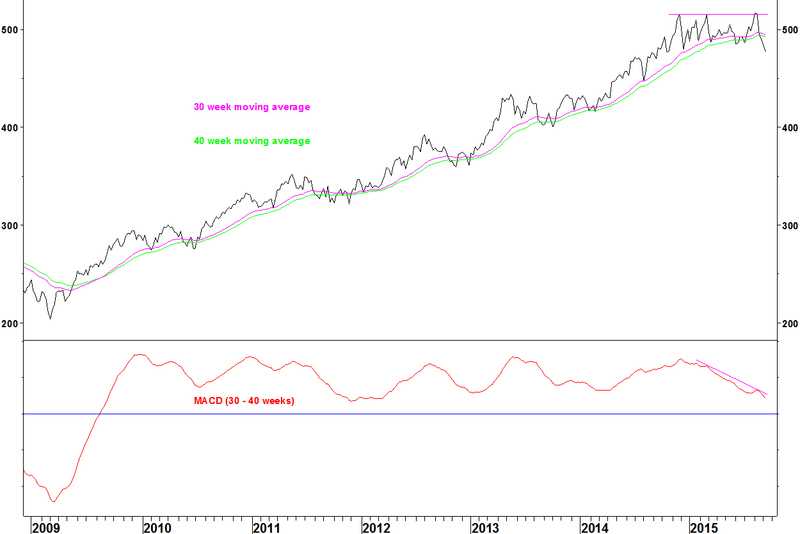 Here I show some long term moving average crossovers that are developing or have already occurred. Looking for crossovers on moving averages that have not crossed for over four years is one of the methods described on the My methods page. 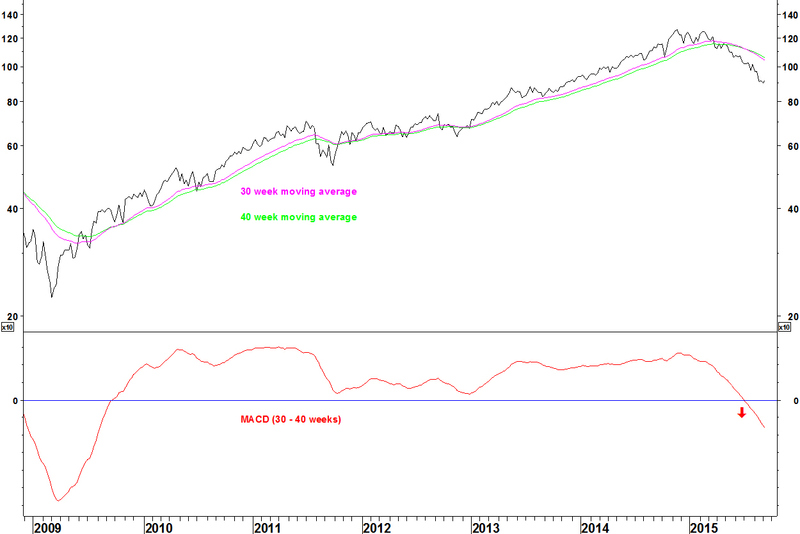 The 30 and 40 week moving averages (exponential) crossed in late May, having crossed up in late 2009. The index then turned down from these averages in mid July. 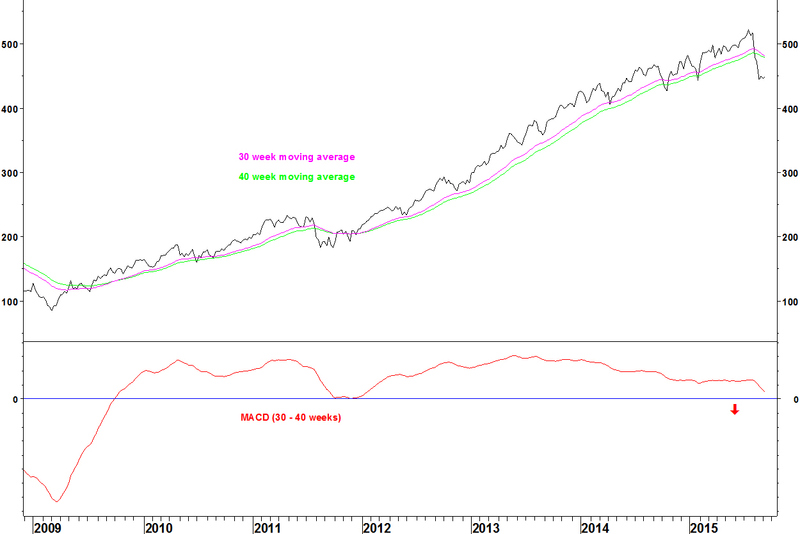 A marginal new weekly closing high was made in early August but the MACD had weakened. This index is less volatile than the S&P500 Index. 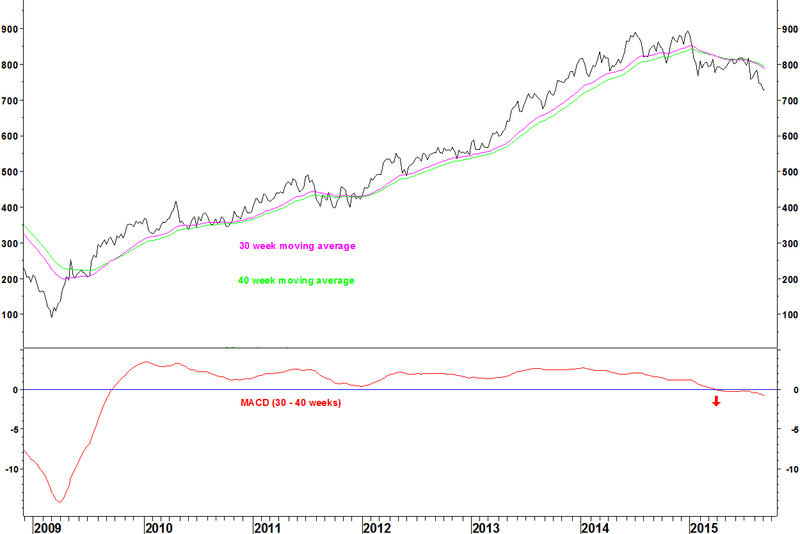 The moving averages crossed in April after four and a half years in positive alignment. The moving averages have not yet crossed but MACD divergence has been building since 2013 and we should soon see the first crossover for five years. The moving averages have already crossed for the first time since September 2009. 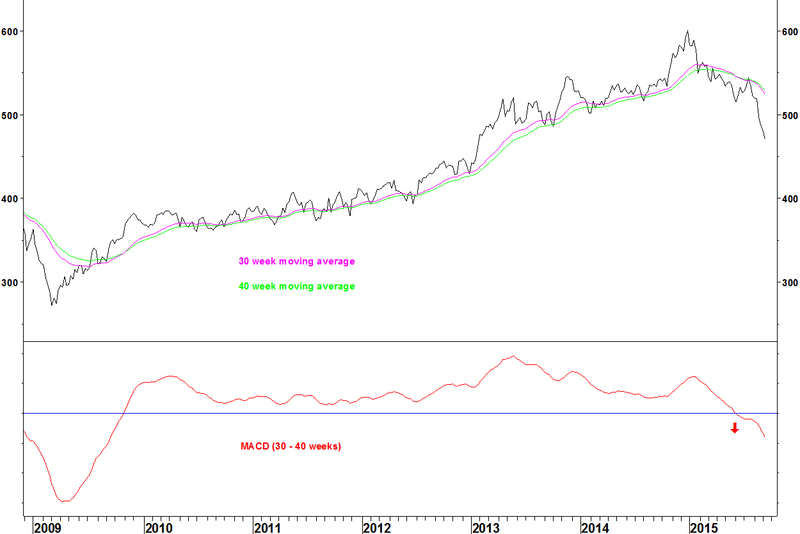 Notes that you don’t always get a nice MACD divergence.